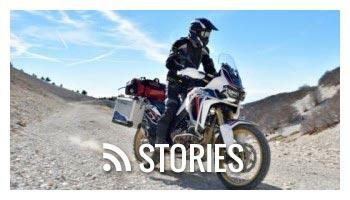 Touratech GPS Mount Adapters are the link between your BMW R1200GS Adventure and the Touratech GPS mount. 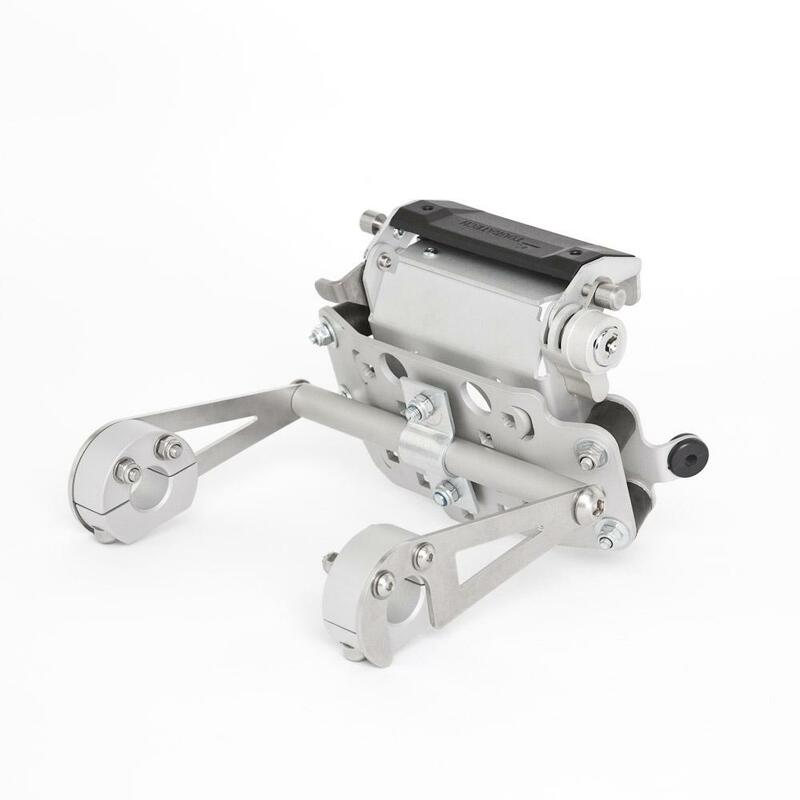 Photo shows the 044-0770 supporting a "GPS mount" 065-0087. 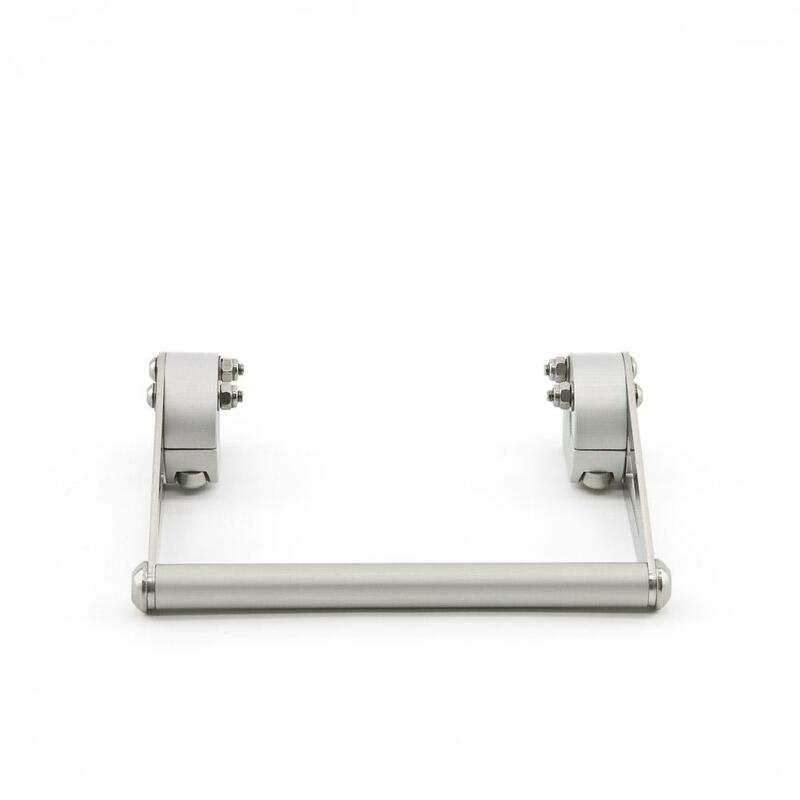 Touratech bridges the gap between your R1200GS Adventure and your Touratech GPS mount with this bracket that connects to the windscreen support bar. 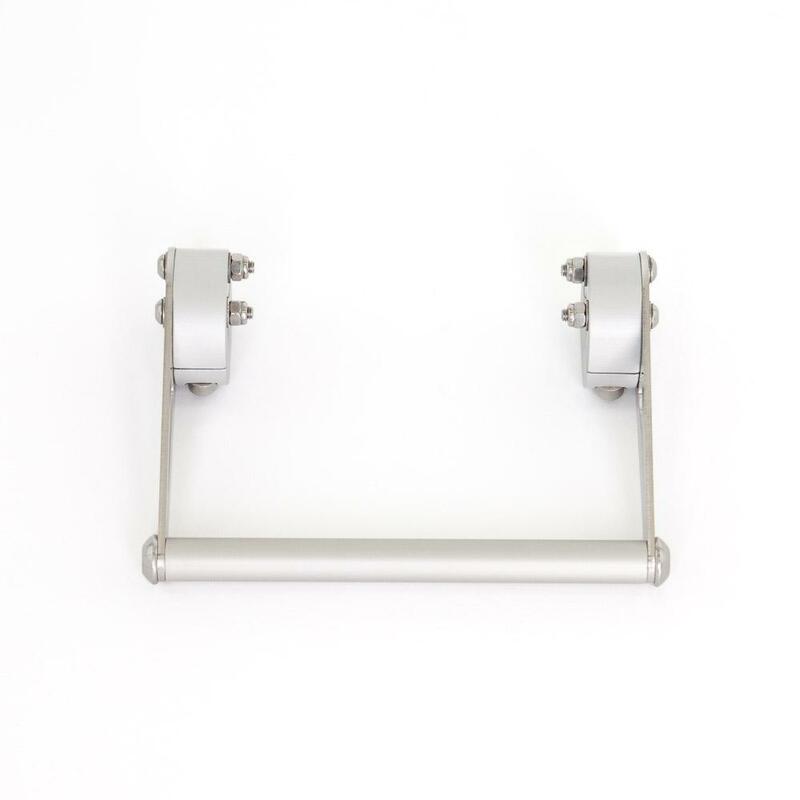 The GPS Mount Adapter allows you to locate the GPS above the instruments, an optimum location for viewing. 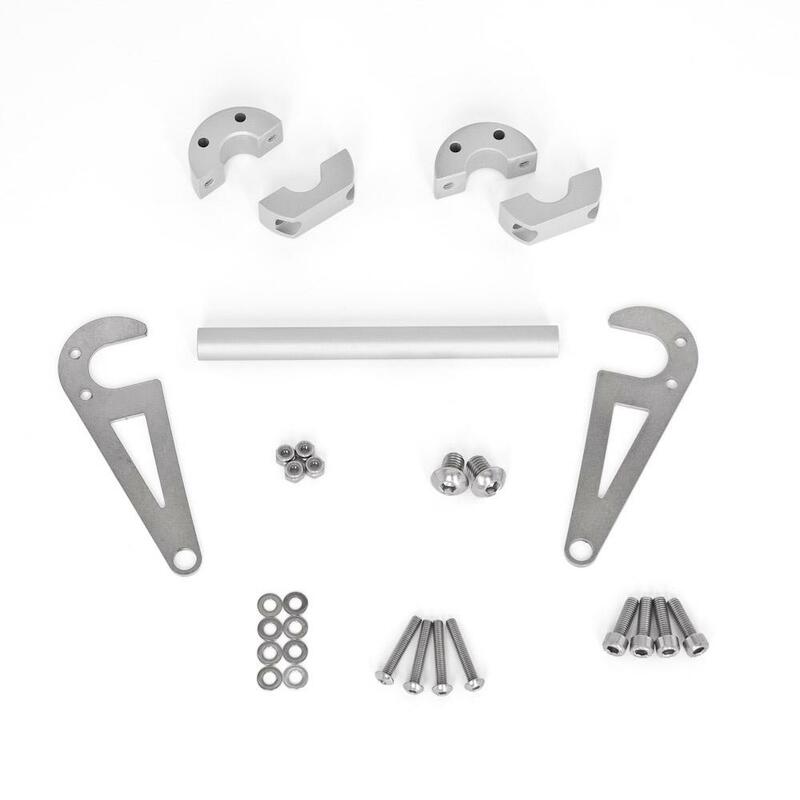 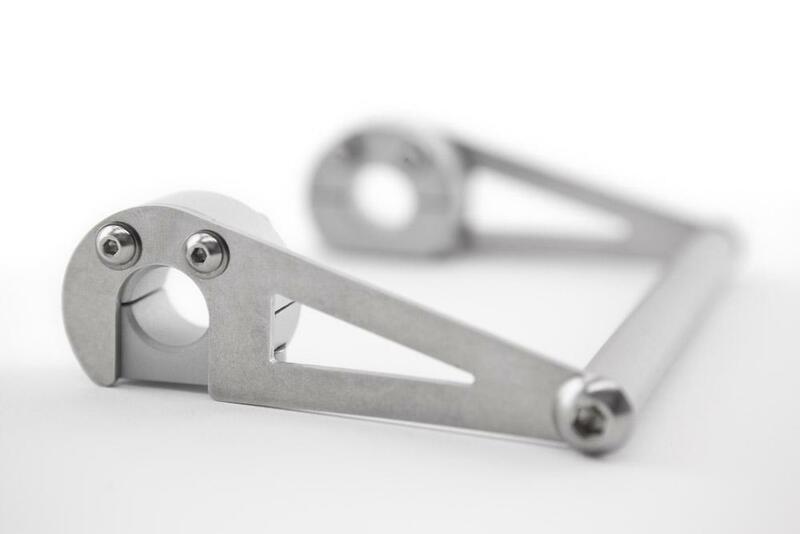 Crafted from CNC aluminum and lazer cut stainless steel, the kit comes with everything you need to install the bracket. 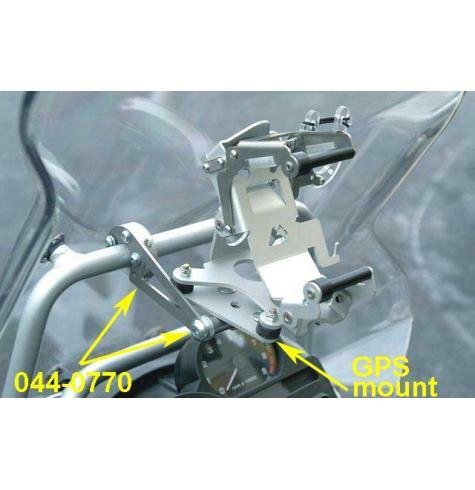 To mount a GPS on your R1200GS Adventure you will need to purchase this GPS Mount Adapter in addition to the Touratech GPS Mount. 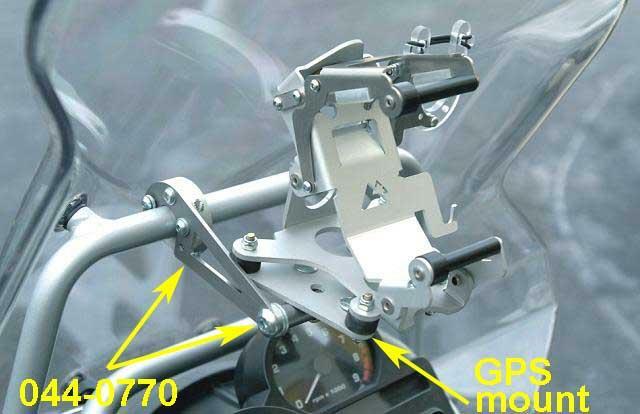 NOTE: Full windscreen adjustment may not be possible with some of the largest GPS mounts. 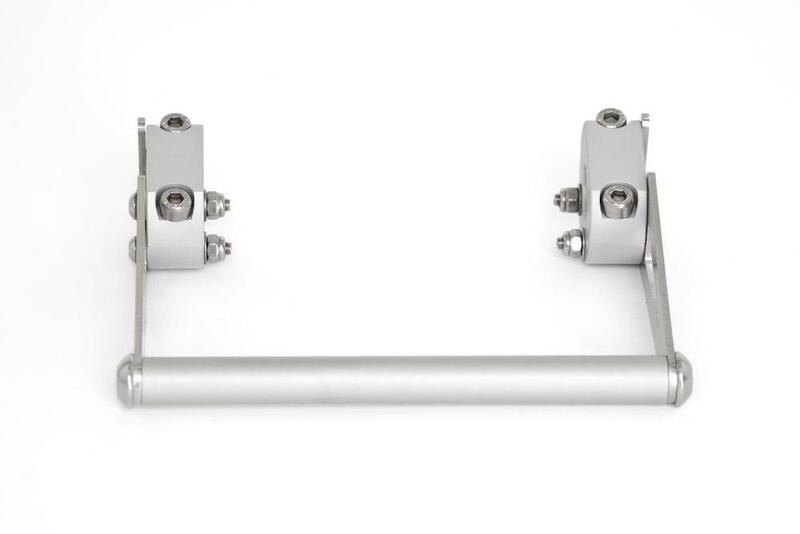 Will not work with some "MVG" mounts, call for more details.